Because of you, wishes can come true! JDSA is helping A Gift For Teaching reach their year-end match for donations, by shooting, editing, and producing this short video about a kid who just wants to fit it. We’re always on the lookout for stories of those who make a difference – constantly in search of people who inspire us. People who JDSA their way to changing the world. 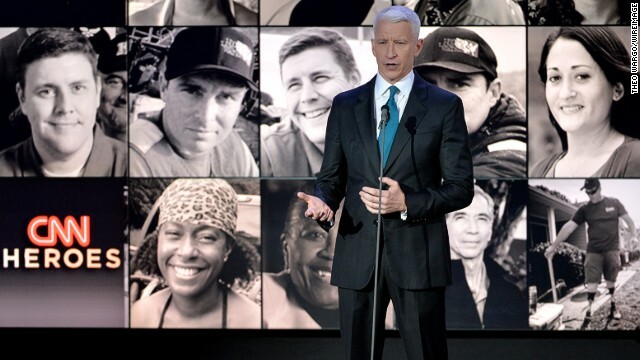 Each year, CNN finds ten individuals – ten heroes – who make it their goal to, Just DO Something…Anything! 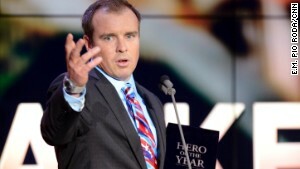 (CNN) — Chad Pregracke, an Illinois man who has dedicated his life to cleaning the Mississippi River and other U.S. waterways, is the 2013 CNN Hero of the Year. Pregracke organizes community cleanups across the country through his nonprofit, Living Lands & Waters. About 70,000 volunteers have pitched in, helping Pregracke collect more than 7 million pounds of trash in the past 15 years. Pregracke was recognized during last week’s airing of “CNN Heroes: An All-Star Tribute” along with the rest of this year’s top 10 CNN Heroes — everyday people doing extraordinary things to help change the world. He was chosen as Hero of the Year through a five-week public vote on CNN.com. “I’ll just keep on cleaning up America’s rivers and loving every minute of it,” said Pregracke when he accepted the award. Chad Pregracke pledged to give some of his Hero of the Year money to the rest of the top 10 CNN Heroes. 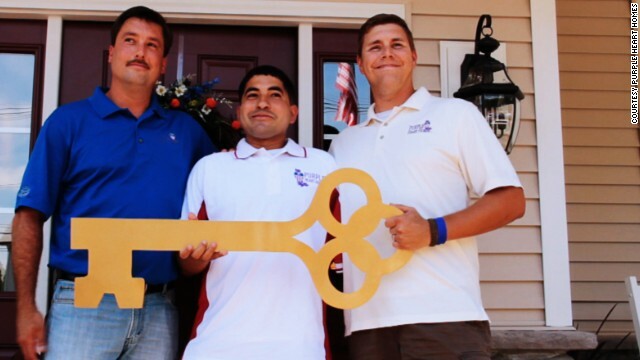 For being named CNN Hero of the Year, Pregracke receives $250,000 to continue his work. That is in addition to the $50,000 that each Hero receives for making the top 10. Pregracke, 38, grew up in East Moline, Illinois, where the Mississippi River was in his backyard. As a teenager, he worked as a commercial shell diver and began to notice the heaps of debris in the fabled waterway, which supplies drinking water to 18 million people in more than 50 U.S. cities. For nine months out of the year, Pregracke lives on a barge with members of his 12-person crew. They go around the country with a fleet of boats, and they try to make cleanup fun for the volunteers who show up in each city. They use skits, music and mock motivational speeches to get the volunteers amped up, and sometimes they even do a little karaoke. Teams also compete to see who can find the “best” garbage. Close to 90% of what they recover is recycled; Pregracke said the rest gets disposed of properly. In addition to the river cleanup, Pregracke has launched a floating classroom barge where his staff educates high school students and teachers about the damages of pollution on river ecosystems. In 2007, his nonprofit implemented a program to plant 1 million trees along river shorelines to protect and restore the natural environment. The group is halfway to its goal. Pregracke says his nonprofit has already held more than 700 cleanups on 23 rivers, but he says he’s just getting started. He views his work as a different kind of service to the country. This was supposed to be the definitive ending of the controversy surrounding Winston, and in many major ways, it was. According to Meggs, Winston is a free man. The Florida State quarterback will not be charged with sexual assault. He almost certainly is going to win the Heisman Trophy in a landslide next week. He might well lead his team to the national championship next month. But can anyone watching Meggs’ news conference feel good about what they saw, laughs and all? Can anyone be certain that Winston did no wrong? Or wasn’t it more like this: There just was not enough evidence to win the case for the state attorney’s office? There is nothing new about an alleged sexual assault case ending in this manner, with a high-profile athlete or with anyone else. What made this case so confounding was the way the Tallahassee police handled it. In hindsight, they look terrible, failing to properly investigate a serious matter, a possible felony, for nearly a year. Then consider the strong words from the accuser’s lawyer that she was advised by the police not to press charges, and this looks like a group of authorities in a stereotypical small town fumbling their legal responsibilities because they were so smitten by their football team. More laughs. It was a regular riot, with that smiling former state senator, Al Lawson, standing in the background, playing Ed McMahon to Meggs’ Johnny Carson. That’s the face of justice in northern Florida in the 21st century? My goodness. The stunning, less-than-serious tone set by Meggs did a disservice to the alleged victim – and to Winston as well. There are many questions about what happened the night of Dec. 7, 2012. We likely never will get definitive answers. That happens in high-profile cases in this country, and it’s something we have come to accept. Some will believe the worst about Winston; others will believe the worst about his accuser. In this atmosphere, if Thursday’s news had been delivered with seriousness and sincerity, it not only would have been beneficial to those of us watching, it also would have helped build a much more compelling case for Winston. It’s much easier to trust the authorities when they seem to be taking their work seriously than when they act as they did in that news conference. It was there that Meggs curiously declined to criticize the police for failing to investigate the case for 11 months. Later in an ESPN interview, however, he turned much more serious, acknowledging that the delay did “hamper” the investigation. He added that Winston’s refusal to talk to the authorities also was problematic. Meggs said an interview should have been attempted, but Winston already had a lawyer and was refusing. Finally, some tough words from the man who should have delivered a lot more of them Thursday afternoon. (CNN) — They clean up rivers, build homes for disabled veterans and bring health care to some of the darkest parts of the world. They help children who are fighting cancer, poverty and a lack of opportunity. Tawanda Jones is using dance to empower the youth of Camden, New Jersey, one of the poorest cities in the country. Through Jones’ drill team program, at least 4,000 children have learned discipline, respect and community service — and all of them have graduated high school. “We need to take back our city and, most importantly, take back our youth,” Jones said. For many children fighting cancer, it can be extremely tough to make it to their chemotherapy appointments. But Richard Nares started a group that gives them transportation and support. “No child should miss their cancer treatment due to lack of transportation,” said Nares, who lost his son to leukemia in 2000. Laura Stachel created a special “solar suitcase” to help health-care workers deliver babies in more than 20 developing countries. “I really want a world where women can deliver babies safely and with dignity,” Stachel said. As part of their award package, each top 10 Hero will also receive free organizational training from the Annenberg Foundation, a leading supporter of nonprofits worldwide. The Heroes will participate in a customized version of the Annenberg Alchemyprogram, which offers practical guidance to help strengthen organizations for long-term success.